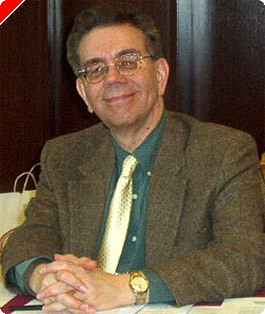 This article originally appeared on Pokernews.com, April 24, 2007. 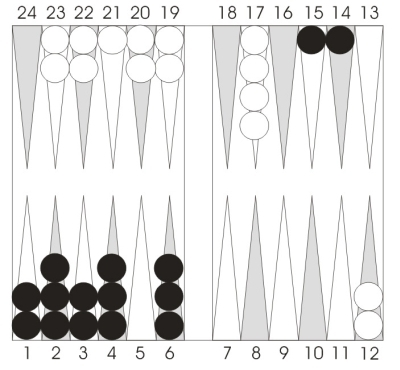 In most positions, the correct play with a given roll is the same regardless of the position of the doubling cube. This isn't always the case, however, and a good player needs to be alert to the situations where the position of the cube can determine the right checker play. One of the possible checker plays will have the potential of swinging the position decisively, as opposed to some alternative play which will maintain the status quo. One play will result in a bunch of potential gammons, for one side or the other or even both, while the other play will resolve the game quietly, without a lot of gammons. When these conditions occur, you may have a position where the cube location, and possible upcoming cube actions, need to be taken into account. Take a look at today's problem. Black currently leads in the pip count by 14 (80-94). He'll be up 21 after he plays his roll. His choices are between staying pat with 6/2 4/1, and running off the anchor now, while White has a blot in his board. Of the two running plays, 18/14, 18/15, leaving 21 shots, trumps 18/11 with 24 shots. In a cubeless game, staying put is very slightly better than running. The right play is just 6/2, 4/1. In general, when the choice is not clear-cut, you should be reluctant to volunteer decisive shots in a cubeless game. With a live cube, however, the cube position often helps determine the right play. If the cube is centered, then running favors Black. Take a look at the resulting position. 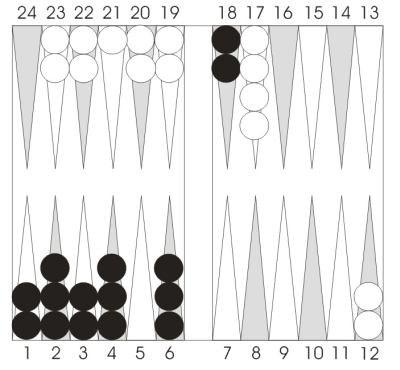 Black has played 18/14, 18/15. If he runs with both men and White misses (say with a roll like 4-1), then Black has an extremely efficient double (winning chances in the low 70s). If Black runs, White hits, and Black fans, White then has a very inefficient cube. (After a sequence like 5-3: 13/10*/5, fan, White's winning chances are in the mid-80s.) Efficient cubes are more profitable cubes, so if the plays were close in a cubeless game, the relative efficiency of the resulting cubes argues for the running play with a centered cube, and that is indeed the correct choice. If Black owns the cube, then his gammon losses are now activated, which they weren't when the cube was centered. (It was almost impossible then for him to be doubled in to a position where he had a significant chance of being gammoned.) Running two men leads to far more gammon losses than staying put, so staying on the 18-point is right.